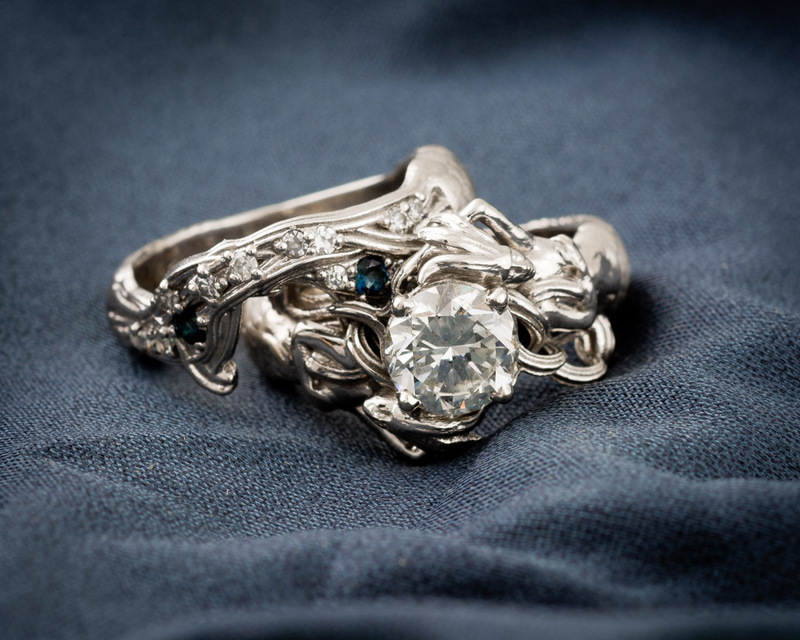 This unique and artistic piece features twin mermaids on either side of the round center diamond. 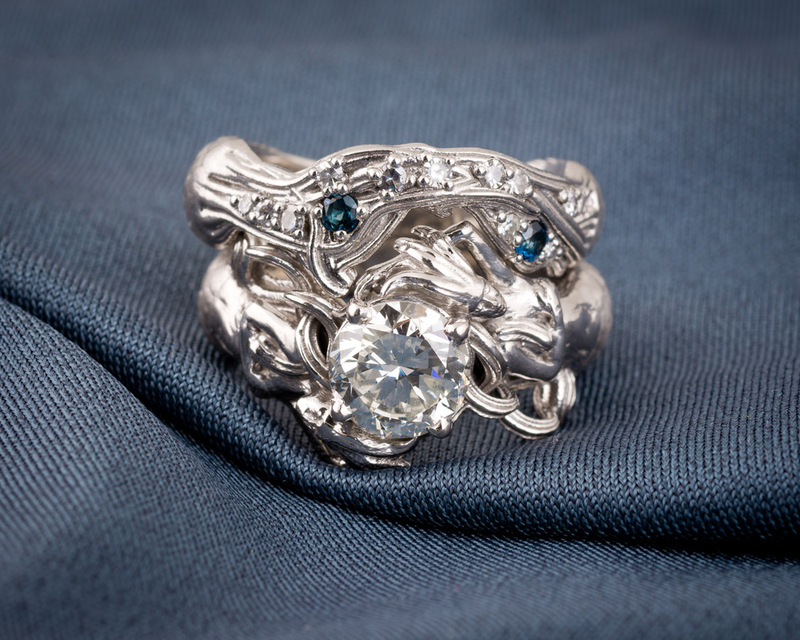 The lifelike details and flowing lines create a palpable sense of movement when you look at the ring. 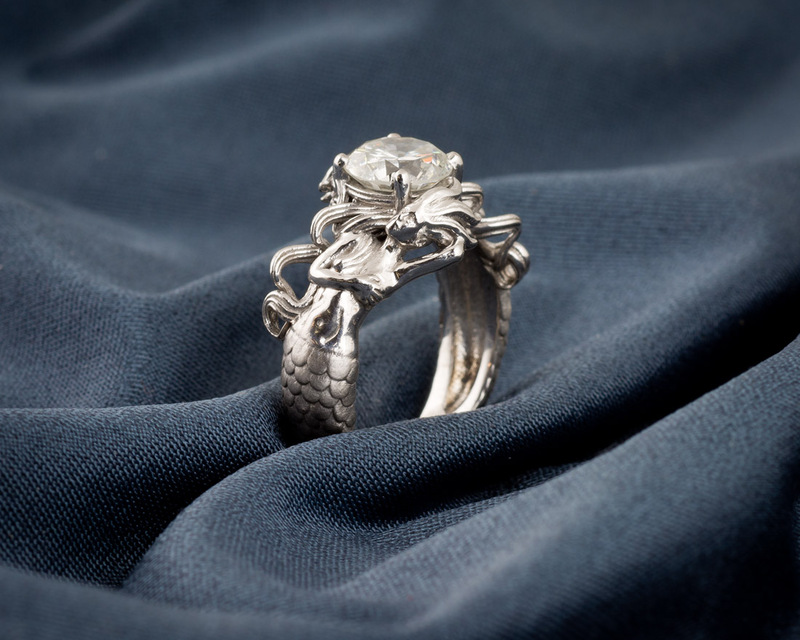 Proof that with custom jewelry from Arden Jewelers, the only limit is your imagination. A variation of this gorgeous design is now available for purchase directly on our website! Check it out. Hello. This is exactly what I have been looking for to get my girlfriend. Can I get some more info? Hi Jeremy, thanks for your interest. 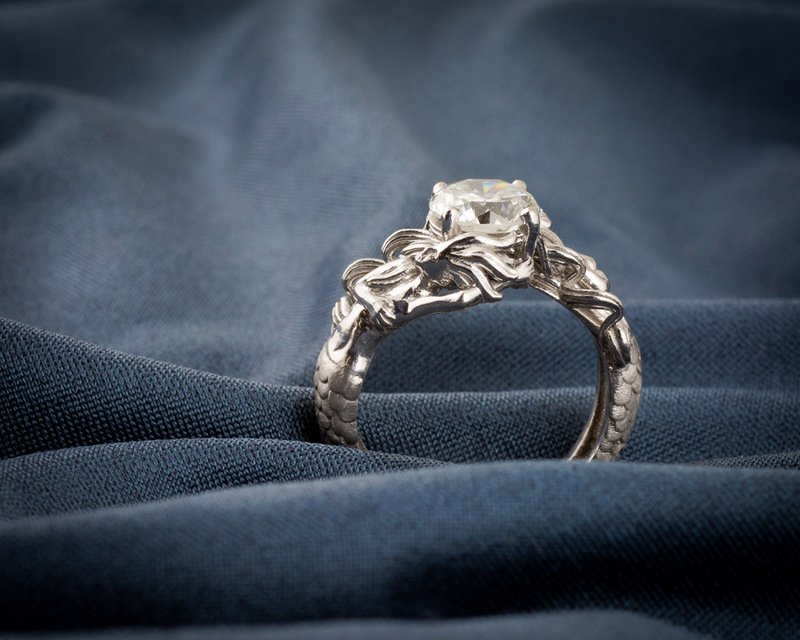 One of our gemologists will be in touch with you about the details. Hi Nathan, thanks for your interest. One of our designers has reached out to you over email. Feel free to contact us if his email doesn’t come through. Beautiful ring. 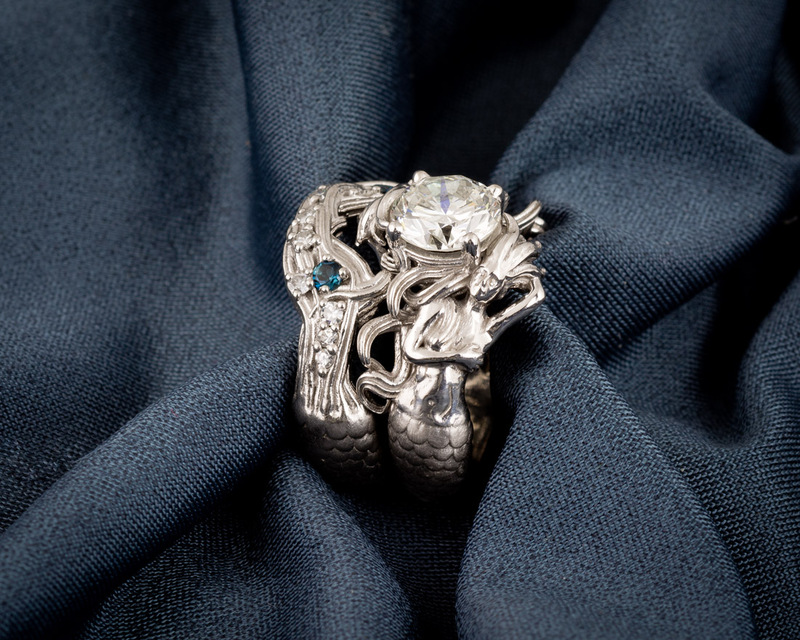 I would like more info on the mermaid ring. Hi James, thank you! We really appreciate it. 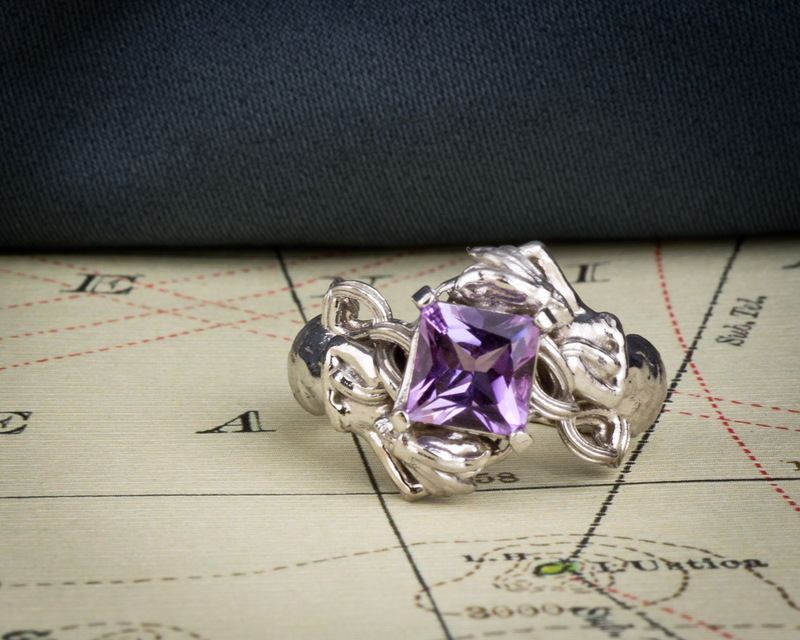 One of our gemologists will email you shortly. Hello. I love this ring, and am in the process of seeking out an engagement ring. What are the specs of the ring, and the diamond. Can you seek out a diamond with the specs that I wish? Hi Michael, thanks for the compliment and your interest. Our designer has sent you an email, but feel free to contact us if you have any other questions.